Marvel and Netflix are proud to announce that Mike Colter will star as Luke Cage in Marvel's A.K.A. Jessica Jones, an all-new 13-episode series premiering on Netflix in 2015 following Marvel's Daredevil. During the course of an investigation in New York City, private investigator Jessica Jones encounters the enigmatic Luke Cage - a man whose past has secrets that will dramatically alter Jessica in ways she could never have imagined. Colter will star opposite Krysten Ritter, who plays the title role in Marvel's A.K.A. Jessica Jones. Here's what Executive Producer/Showrunner Melissa Rosenberg had to say in a statement. "Mike embodies the strength, edge and depth of Luke Cage. We're excited to have him bring this iconic Marvel character to life." Executive producer and Marvel's head of television Jeph Loeb also had this to say in his own statement. 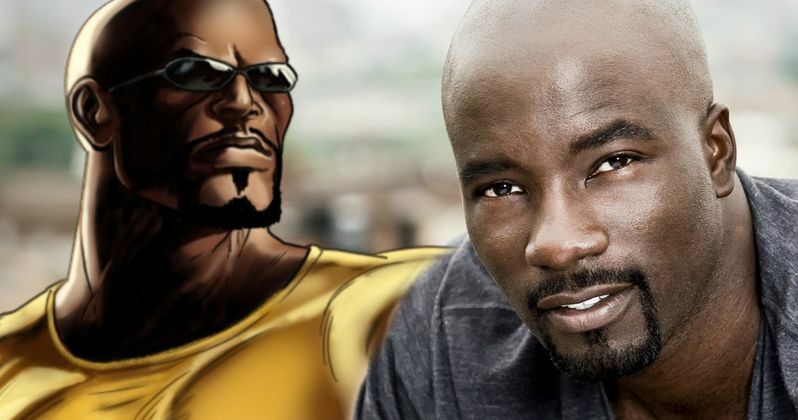 "Fans have longed to see Luke Cage and in Mike we've found the perfect actor. Viewers will get to meet Luke Cage in Marvel's A.K.A. Jessica Jones, and experience why he is such an important super hero in the Marvel mythos." Colter is currently starring in the XBox original series Halo: Nightfall as Jameson Locke. He has appeared in a number of critically-acclaimed television series, including "The Good Wife" and "American Horror Story: Coven." After a tragic ending to her short-lived super hero stint, Jessica Jones is rebuilding her personal life and career as a detective who gets pulled into cases involving people with extraordinary abilities in New York City. Marvel's A.K.A. Jessica Jones is produced by Marvel Television in association with ABC Studios for Netflix. For more information on Marvel's A.K.A. Jessica Jones, and the other exciting new Marvel Television series coming to Netflix, stay tuned to Marvel.com. Marvel's Iron Fist Brings in Jessica Jones Writer?